Vignelli was a master of design and employed the use of simplicity and restraint through the use of basic geometric forms. His broad, multi discipline body of work includes everything from, household products, packaging, way finding and signage, but is best known for his branding work for the likes of Bloomingdales, Knoll and United Colours of Benetton. Vignelli's principle was, "If you can design one thing, you can design everything,"
Vignelli moved to New York in 1966 and founded Unimark International, which became one of the largest design companies in the world. Here he designed the branding for American Airlines and the iconic signage for the New York Subway. In 1971 Vignelli founded Vignelli Associates with his wife Lella and where he was to employ Michael Bierut. 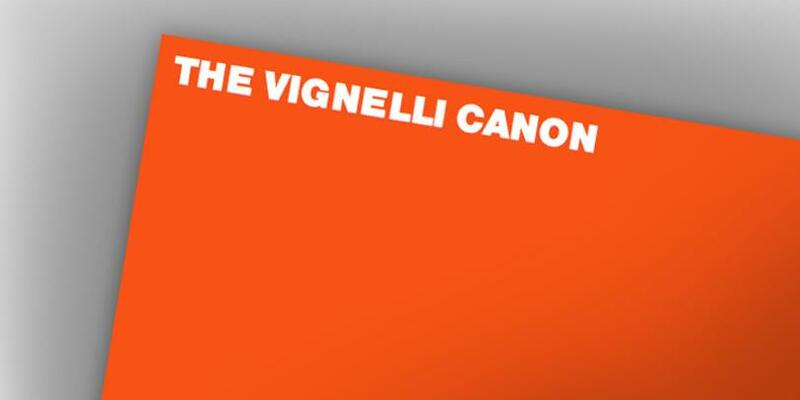 Massimo Vignelli's Cannon is a book for which I tell everyone that works for me in my design studio to read. I am often asked what fonts to use or how to use grids and this book is an essential handbook to refer back to. I can highly recommend what I call an essential handbook for any young designer entering into the industry. The famous Italian designer Massimo Vignelli allows us a glimpse of his understanding of good design in this book, its rules and criteria. He uses numerous examples to convey applications in practice from product design via signaletics and graphic design to Corporate Design. 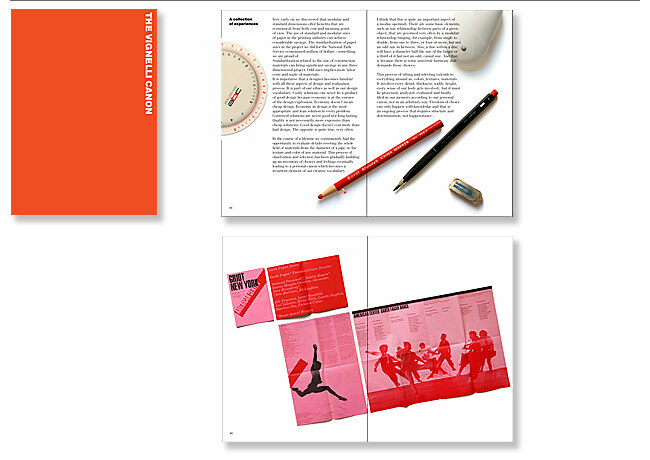 By doing this he is making an important manual available to young designers that in its clarity, both in terms of subject matter and visually, is entirely committed to Vignelli's modern design. If your a designer, then there really is no reason for not reading this hand book. Do yourself a huge favor and click here to download the PDF for free... Yes free!! !